Gladiators of World War II is a BBC documentary series with newly declassified documents used to examine the strategic roles played in the war by thirteen of the world's regular and resistance land, sea and air forces. The ultimate success or failure of many of the battles of World War II boiled down to men and machines locked in a fight to the death. But behind the scenes of these epic struggles were highly organised and highly disciplined servicemen and women who have now passed into the annals of military history. Special regiments, squadrons and naval services, together with clandestine forces and formations, gave the vast, overall fighting forces of World War II an extra edge in the most pivotal battles. Gladiators of World War II examines the establishment and background of the greatest fighting forces of the Second World War. Each program examines a different unit, dissecting its command structure, military objectives, battle formations and its success or failure in applying its tactics and strategy to each of the major theatres in which it fought. This series also examines, in the light of newly released information and recently discovered rare archive film, some of the individual stories of the men and women who were members of these fighting bodies. The stories of these warriors have seldom beer told before. 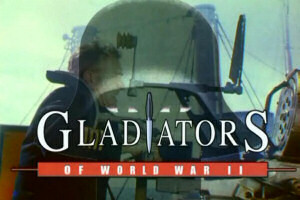 These are the stories of the Gladiators of World War II. Produced by Nugus/Martin Productions for BBC Worldwide Ltd. The Golden Girls is an American sitcom, created by Susan Harris, that originally aired on NBC from September 14, 1985, to May 9, 1992. Starring Beatrice Arthur, Betty White, Rue McClanahan, and Estelle Getty, the show centers on four older women sharing a home in Miami, Florida. It was produced by Witt/Thomas/Harris Productions, in association with Touchstone Television, and Paul Junger Witt, Tony Thomas, and Harris served as the original executive producers. The Golden Girls received critical acclaim throughout most of its run and won several awards, including the Primetime Emmy Award for Outstanding Comedy Series twice. It also won three Golden Globe Awards for Best Television Series ? Musical or Comedy. 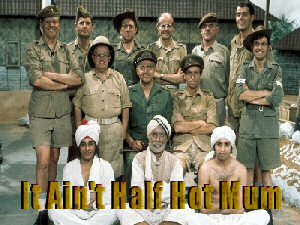 Each of the four stars received an Emmy Award (from multiple nominations during the series' run), making it one of only three sitcoms in the award's history to achieve this. The series also ranked among the top ten highest-rated programs for six out of its seven seasons. 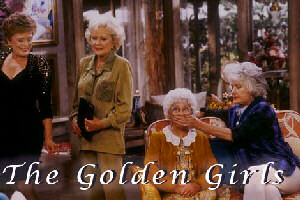 In 2013, TV Guide ranked The Golden Girls No. 54 on its list of the 60 Best Series of All Time. In 2014, the Writers Guild of America placed the sitcom at No. 69 in their list of the "101 Best Written TV Series of All Time". The series revolves around four older, single women (three widows and one divorcée) sharing a house in Miami, Florida. The owner of the house is a widow named Blanche Devereaux (McClanahan), who was joined by fellow widow Rose Nylund (White) and divorcée Dorothy Zbornak (Arthur) after they both responded to a room-for-rent ad on the bulletin board of a local grocery store a year prior to the start of the series. In the pilot episode, the three were joined by Dorothy's 80-year-old mother, Sophia Petrillo (Getty), after the retirement home where she lived burned down. Howdy Doody is an American children's television program (with circus and Western frontier themes) that was created and produced by E. Roger Muir and telecast on the NBC network in the United States from December 27, 1947 until September 24, 1960. 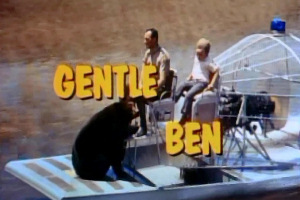 It was a pioneer in children's television programming and set the pattern for many similar shows. 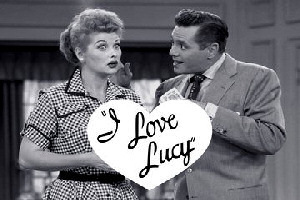 One of the first television series produced at NBC in Rockefeller Center, in Studio 3A, it was also a pioneer in early color production as NBC (at the time owned by TV maker RCA) used the show in part to sell color television sets in the 1950s. The character first came to life from the creative mind of Bob Smith, who created Howdy Doody during his days as a radio announcer on WNBC. At that time, Howdy Doody was only a voice Smith performed on the radio. When Smith made an appearance on NBC's television program Puppet Playhouse on December 27, 1947, the reception for the character was great enough to begin a demand for a visual character for television. Frank Paris, a puppeteer whose puppets appeared on the program, was asked to create a Howdy Doody puppet. Bob Smith, the show's host, was dubbed "Buffalo Bob" early in the show's run (a reference to the historical Buffalo Bill and Smith's hometown of Buffalo, New York). 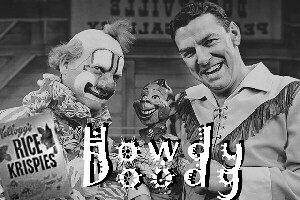 Smith wore cowboy garb, and the name of the puppet "star" was derived from the American expression "howdy doody"/"howdy do", a commonplace corruption of the phrase "How do you do?" used in the western United States (The straightforward use of that expression was also in the theme song's lyrics.) Smith, who had gotten his start as a singing radio personality in Buffalo, used music frequently in the program. Cast members Lew Anderson and Robert "Nick" Nicholson were both experienced jazz musicians. 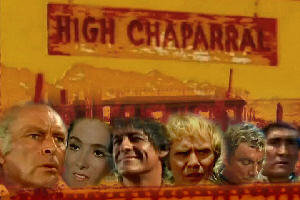 The High Chaparral is an American Western-themed television series starring Leif Erickson and Cameron Mitchell, which aired on NBC from 1967 to 1971. 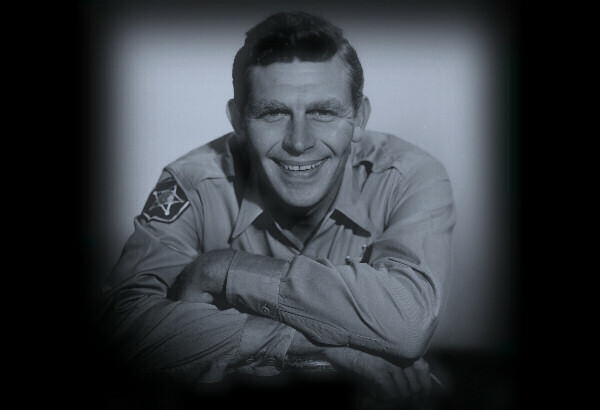 The series, made by Xanadu Productions in association with NBC Productions, was created by David Dortort, who had previously created the hit Bonanza for the network. 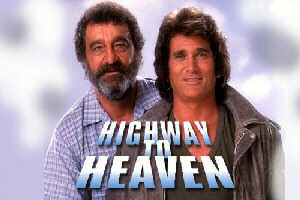 The theme song was also written and conducted by Bonanza scorer David Rose, who also scored the two-hour pilot. The show revolves around "Big John" Cannon (Leif Erickson), a rancher living in the Arizona Territory in the 1870s. He runs the ranch, called The High Chaparral, with his brother Buck (Cameron Mitchell) and son Billy Blue (known as Blue Boy) (Mark Slade). 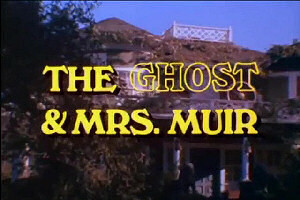 Blue Boy's mother, Annalee (Joan Caulfield), is killed in the first episode by an Indian arrow, and John Cannon then marries Victoria (Linda Cristal), the daughter of powerful neighbouring rancher Don Sebastián Montoya (Frank Silvera), in what is initially a marriage of convenience. His marriage to Victoria also brings her brother Manolito (Henry Darrow) to live with the family. The Simpsons is the only program to exceed 20 seasons. 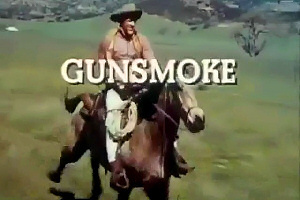 At the end of its run in 1975, Los Angeles Times columnist Cecil Smith wrote: "Gunsmoke was the dramatization of the American epic legend of the west. Our own Iliad and Odyssey, created from standard elements of the dime novel and the pulp western as romanticized by [Ned] Buntline, [Bret] Harte, and [Mark] Twain. It was ever the stuff of legend. it was initially under that same title. The show earned Burr six Emmy and two Golden Globe nominations. The show revolved around former San Francisco Police Department (SFPD) Chief of Detectives Robert T. Ironside (Raymond Burr), a veteran of more than 20 years of police service who was forced to retire from the department after a sniper's bullet paralyzed him from the waist down, causing him to use a wheelchair. The series enjoyed an eight-season run on NBC, drawing respectable, if not always high, ratings. As the eighth season began, Universal released a syndicated rerun package of episodes from earlier seasons under the title The Raymond Burr Show, reflecting the practice of that time to differentiate original network episodes from syndicated reruns whenever possible. 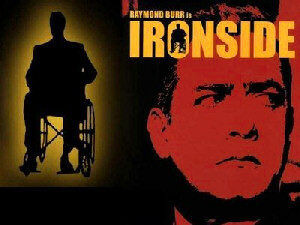 Upon NBC's mid-season cancellation, however, the syndicated episodes reverted to the Ironside title.